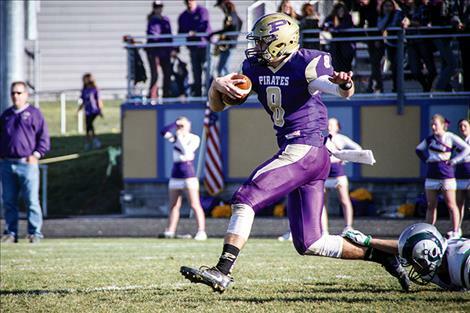 POLSON — A failed point-after attempt kick in the final minutes ended the Pirates’ playoff run at home Saturday afternoon to Billings Central, 35-34. 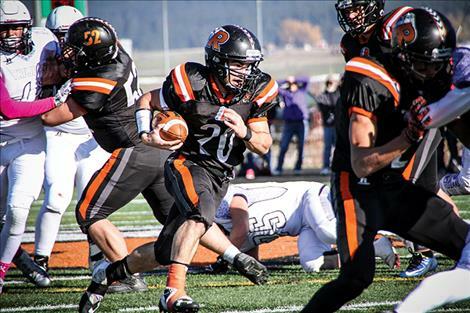 The Pirates were held scoreless while the Rams jumped ahead 7-0 in the first quarter on a long 52- yard touchdown run. But the Pirates battled back as quarterback Tanner Wilson had touchdown runs of 6 and 15 yards along with a 7-yard touchdown pass to Haden Smith to give the Pirates a 22-21 advantage at the half. Cadis Chowning caught a 4-yard touchdown pass from Wilson in the third quarter that knotted the game at 28- 28. The Rams broke the fourth quarter 28-28 deadlock with a 53-yard touchdown run. That run put the Rams up 35-28. The Pirates answered by working the ball down field which resulted in Wilson diving into the end zone on an 8-yard run. 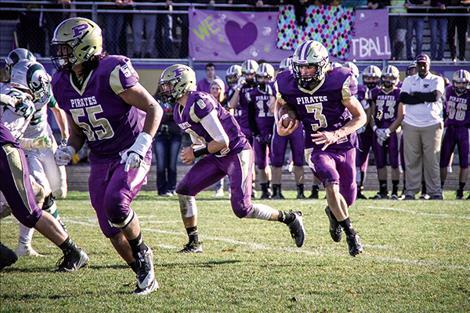 The Pirates fourth-quarter rally ended on the missed PAT attempt. Wilson completed 11 of 25 passes for 195 yards and two touchdowns. Wilson also carried the ball 24 times for 188 yards and three touchdowns and earned five tackles. 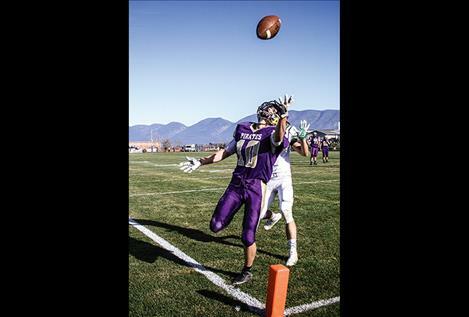 Cadis Chowning had eight catches for 129 yards and one touchdown. Matthew Rensvold led the defense with nine tackles and Jarod Farrier recovered a fumble on a kick-off. The Pirates end their 2016 season with a 7-3 record, 3-0 in conference. “Thanks to the seniors and their parents for all of their dedication the last four years,” Wilson said.